The Spanish are passionate people, particularly when it comes to culture, food and their traditions. 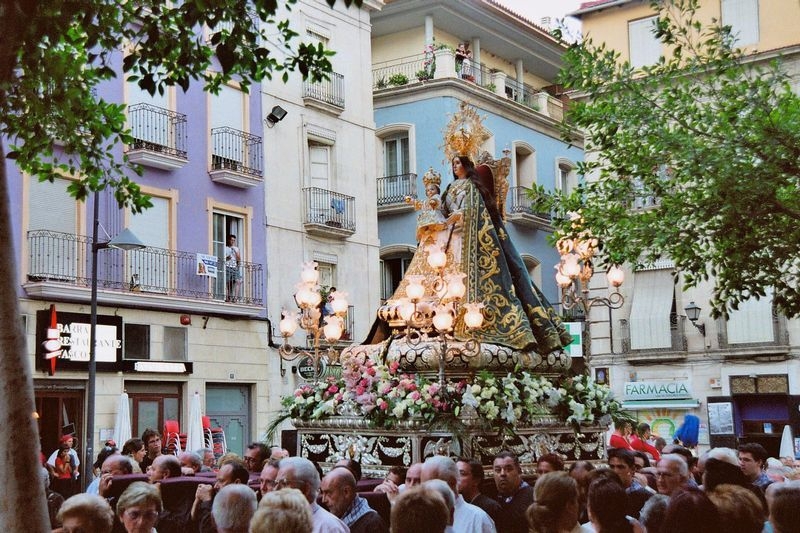 A chance to see all three working in harmony is during Easter, which is one of the most important fiestas in Spain and offers a fascinating insight to Alicante culture. It's a chance to witness dramatic processions, great works of art and enjoy a fitting feast as you celebrate Easter weekend. The silence is unbearable. You catch your breath as you try not to make a noise. Thousands of people line the streets, but no-one says a word. Then the sound of marching feet fills the air. It's the only thing you can hear. Thousands of penitents parade in complete silence. It's dark too. The only light is from the lanterns of the people marching by, which add to the sombre and somewhat eerie situation. It's very emotional and some people are choking up at the dramatic scene unfolding before their eyes. This scene has been played out in Orihuela every Easter Thursday since 1940 when a group of residents decided to hold the silent parade to provide an atmosphere of austerity, contemplation and meditation. This is Easter in Spain. A fitting reminder that Easter is not just about eggs and bunnies; Spain celebrates Easter week with much more dignity than many other countries. It is one of the most important events in the Christian calendar and Spain treats it with the respect it deserves. People carry enormous statues of saints on wooden platforms, which have been lovingly created by great artists throughout the centuries. There is an atmosphere of mourning, which can seem oppressive to onlookers, particularly when you see many penitents in hooded cloaks with just slits for their eyes. The mood lightens on Easter Sunday, with church bells ringing throughout the land as the Resurrection of Christ is celebrated. The story of Christ's crucifixion and resurrection is re-enacted with much pomp and ceremony in many towns throughout the country. However, two of the best places to spend Easter are in the Alicante region - Elche and Orihuela - just a few kilometres apart. Elche, a city of 200,000 palms (and counting), is the ideal place to see the Palm Sunday processions. The fiesta begins on Palm Sunday, which is a week before Easter Sunday, to commemorate the arrival of Jesus in Jerusalem. Hundreds of people take part in Elche's procession, all carrying figures which have been handcrafted from white palms produced in the city. This is one of the few places where the tradition of crafting the fronds lives on. The fronds are plaited into intricate figures which take pride of place in the parade. This has become one of the most important ceremonies held in Elche and has been declared to be of international tourist interest. However, it dates back to the late 14th century and involves hundreds of families carrying the palms to keep this great tradition alive. On Palm Sunday morning, the palms are blessed before the procession begins in the old city, meandering around the old squares and across bridges before arriving at the Basilica de Santa Maria. 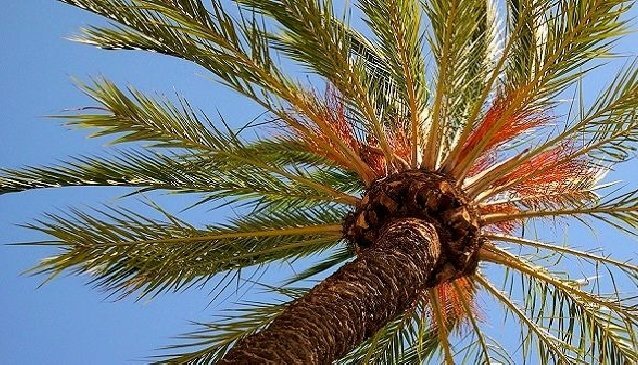 While in Elche for the procession, you can visit the Elche Palmeral to see the thousands of palm trees, where many of the world's palms are produced for this special day. It is the largest palm grove in Europe and is also home to the Imperial Palm which have seven stems, resembling candelabra. 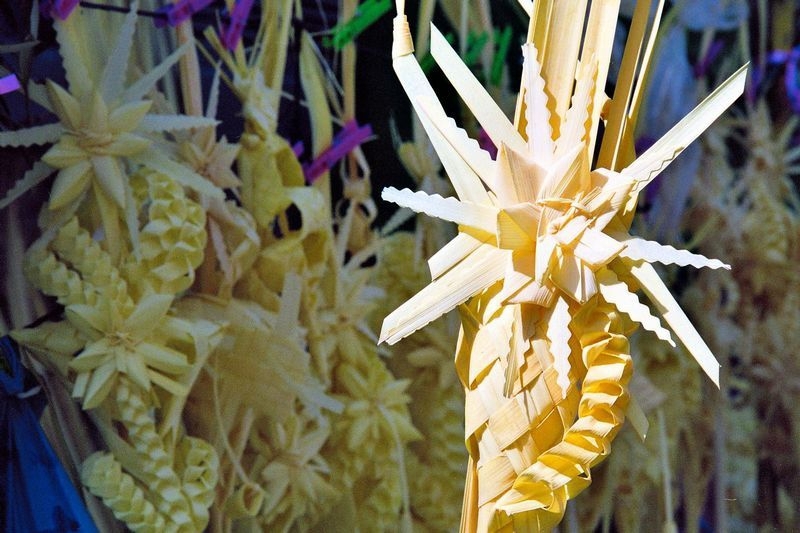 If you have time, visit the Huerto San Placido (Palmeral museum) where you can find out about the traditions and history behind the palm craft and procession. Orihuela is a fantastic place to spend the Easter weekend. 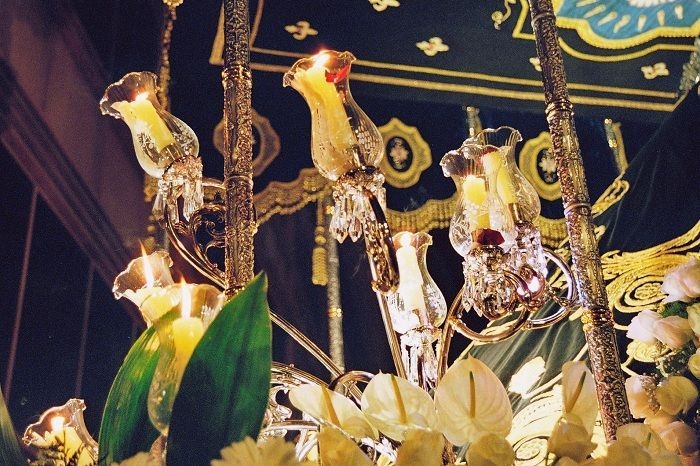 The processions are a fascinating and moving mix of emotions, drama, religion and great art. The tradition dates back almost 500 years and is so spectacular it has been declared to be of international tourist interest. Of particular note are the 18th century sculptures by Francisco Salzillo from Murcia and the She-Devil, the Diablesa, sculpted by Nicolas de Bussy. This is a very emotional time in Orihuela, particularly for the silent procession on Thursday night, as previously mentioned. The ceremonies date back several centuries and have been mentioned in works by the novelist Gabriel Miro and poet Miguel Hernandez. 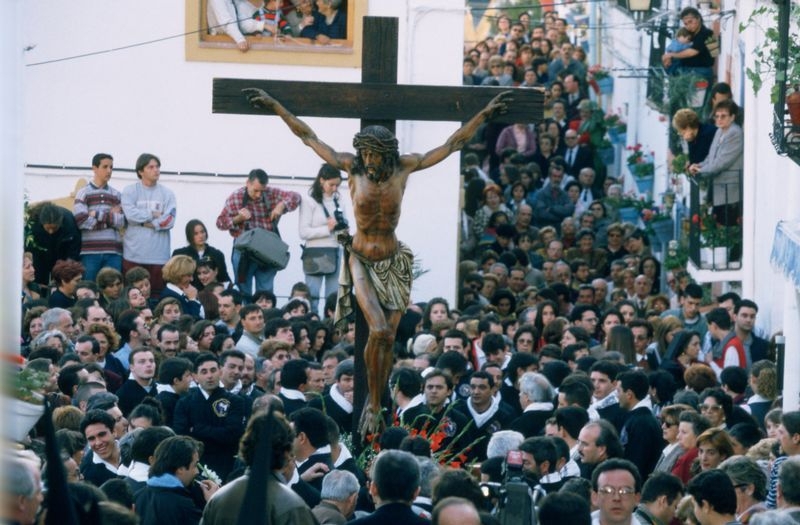 On Good Friday the streets of Orihuela are converted into the ‘Way of the Cross’, representing the Passion of Christ. Bands of men carry enormous, impressive sculptures on their shoulders. These amazing works of art tell the story of Easter. Try to get a close look because the figures are very expressive. The different brotherhoods carry banners as they make their way through the historic streets of the city. On Saturday, the Diablesa (She-Devil) makes her appearance in the evening's procession. This re-enactment represents the triumph of the Cross over the three enemies of the soul - the world, the devil and the flesh. The mood lifts on Easter Sunday and Monday as Christ's resurrection is celebrated. The mood is joyful, the music is more cheerful for the processions and the participants throw sweets to the children. If you want a closer look at the sculptures and costumes which make Easter such a moving event in Orihuela, you can visit the Easter museum. Many of the religious images, statues and costumes are found here, including works by Salzillo. Now that the 40 days of Lent are over, it's time for a feast. One treat is the special Easter cake called La Mona de Pascua, which is highly-decorated and highly-addictive. Coca de Pascua is another popular Easter cake, which you can find in most supermarkets and bakeries. As in many other European countries, lamb is a popular choice for Easter Sunday dinner. It is often marinated in olive oil, garlic, lemon and parsley and roasted in the oven with sliced potatoes underneath to catch the juices. Potaje (stew) with cod and chickpeas is also widely eaten at this time. If the weather is good, out comes the paella pan for an al-fresco lunch, particularly in the Alicante region. The most important thing after 40 days of fasting is to have fun!